Judith Solomon, PhD, is Director of Training for the Child FIRST Program at Bridgeport Hospital in Bridgeport, Connecticut. 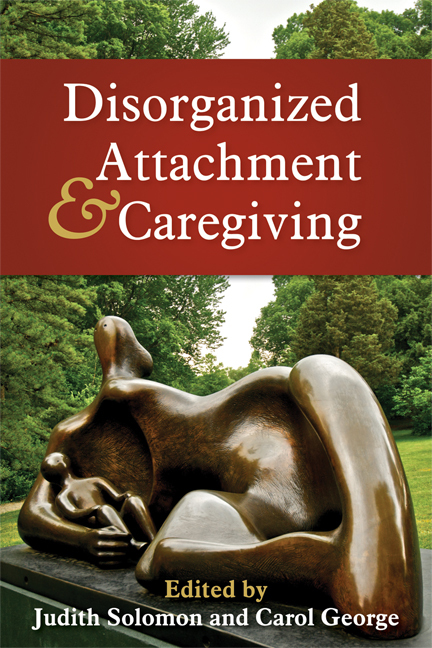 She is internationally recognized for her pioneering research in attachment and caregiving, including (with Mary Main) the discovery and delineation of the disorganized attachment classification group and the first longitudinal study of infants in separated and divorced families. With Carol George, she developed key representational measures of caregiving and child attachment, including the Caregiving Interview and the Attachment Doll Play Projective Assessment. In addition to her research and theoretical contributions, Dr. Solomon is also a practicing clinical psychologist, providing consultation, supervision, and training in attachment-based assessment and intervention for infants and young children. Carol George, PhD, is Lee Mirmow Professor of Psychology at Mills College in Oakland, California. The author of numerous research articles and book chapters on adult and child attachment and caregiving, Dr. George has been at the forefront of developing attachment assessments for children and adults, including the Attachment Doll Play Projective Assessment, the Caregiving Interview, the Adult Attachment Interview, and the Adult Attachment Projective Picture System. She teaches courses in development and attachment, codirects a master’s degree program in infant mental health, and trains and consults on the application of attachment assessment in research and clinical settings.